Animal Collective's Noah Lennox has been focusing on his electronic solo project Panda Bear for the last little while, recently releasing a reissued box set of this year's Tomboy. Album track "You Can Count on Me" has been given particular attention, with Lennox including an a cappella version on the box set and taking the tune to the stage on Late Night with Jimmy Fallon. 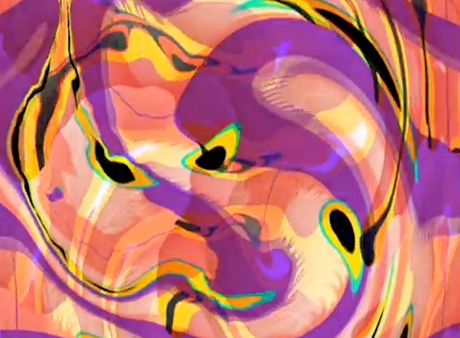 Now Panda Bear has released an official video for the song, which features some pretty psychedelic, colourful swirling imagery. Check out the new Danny Perez-directed video below courtesy of Gorilla vs. Bear.